As a child growing up in Depression-era rural Virginia, Eddie Alley's quiet life is rooted in the rumors of his mother's witchcraft. But when he's visited by a writer and glamorous photographer researching American folklore for the WPA, the spell of his mother's unorthodox life is violently disrupted, and Eddie is inspired to pursue a future beyond the confines of his dead-end town. He leaves for New York and becomes a television horror-movie presenter beloved for his kitschy comedy. Though expert at softening terror for his young fans, Eddie cannot escape the guilty secrets of his own childhood. When he opens his family's door to a homeless teenager working as an intern at the TV station, the boy's presence not only awakens something in Eddie, but also in his twelve-year-old daughter, Wallis, who has begun to feel a strange kinship to her notorious grandmother. As the ghost stories of one generation infiltrate the next, Wallis and Eddie grapple with the sins of the past to repair their misguided attempts at loyalty and redemption. 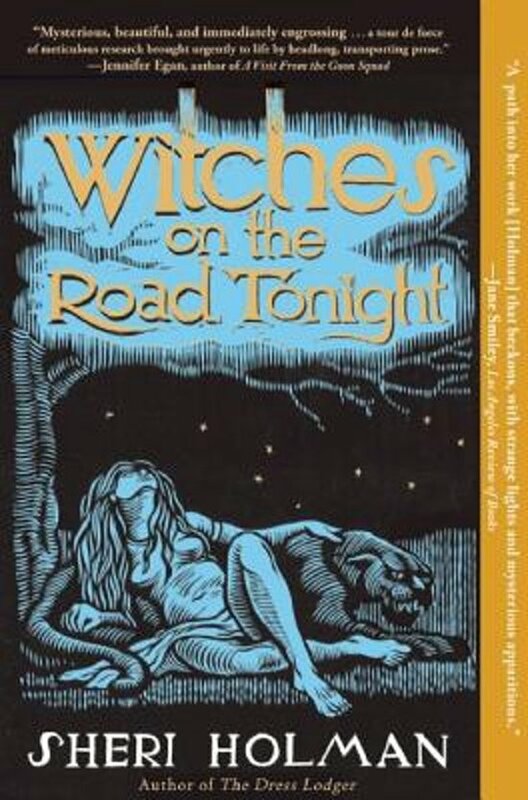 In Witches on the Road Tonight, bestselling author Sheri Holman teases out the dark compulsions and desperate longings that blur the line between love and betrayal.